Now your telehealth program works for everyone – especially your patients with hearing loss! Telehealth is changing the way we care for our patients and clients. Yet even the best telehealth initiative simply doesn’t work if your patients with hearing loss can’t effectively communicate with you. 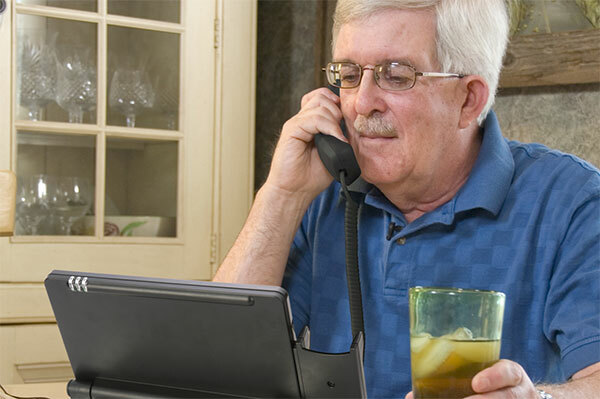 We ship a no-cost Hamilton CapTel phone to your patient’s home. Setup is easy. It works just like a traditional telephone and integrates easily into any telehealth system. Your patient can listen and read word-for-word captions of everything said on the phone, while speaking with caregivers. 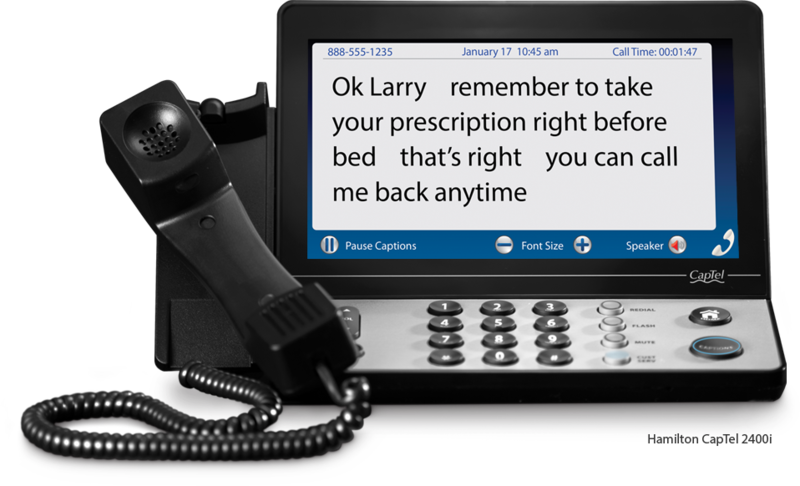 Your patient with hearing loss is now able to communicate with doctors, nurses and technicians on the Hamilton CapTel phone while utilizing the other features of your telehealth system (video conferencing, bio-monitors, etc). Get started with telehealth for everyone!